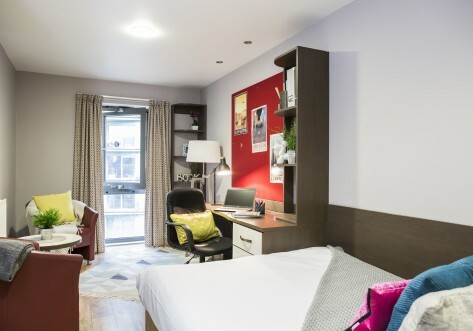 Our 164-bed student accommodation is within walking distance to City University, University of the Arts London, London College of Fashion, Cass Business School, Bangor Business School, Guildhall School of Music and Drama and Coventry University London Campus. Just a short ride on the London Underground will take you all the major London universities and colleges including Queen Mary, BPP Law School, University College London, London School of Economics, London Metropolitan, Central St. Martins the College of Law and many more! Canto Court is run by a very welcoming team, who provides 24/7 onsite support and it has been refurbished in summer 2016. 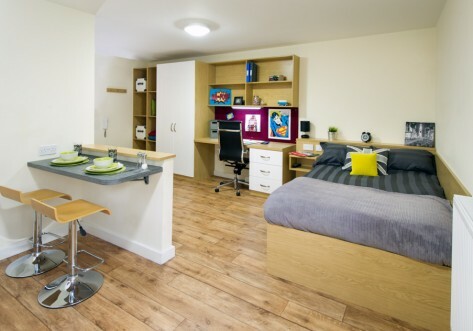 As well as a great new en-suite room, students can expect brand new flat TV and Bluetooth speakers I Luxury Studios, all- inclusive rent, a brand new gym and free Wi-Fi. For those who like to be sociable Canto Court has plenty of communal space, with its own private courtyard and a cool new restaurant recently opened. You couldn’t ask for a more central and hip neighbourhood. 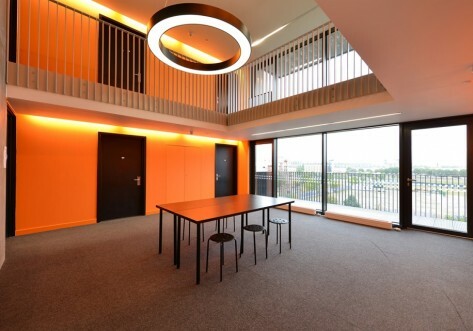 Canto Court is located in East London on Old Street in Zone 1. We are just a three-minute walk to the Old Street Tube Station. 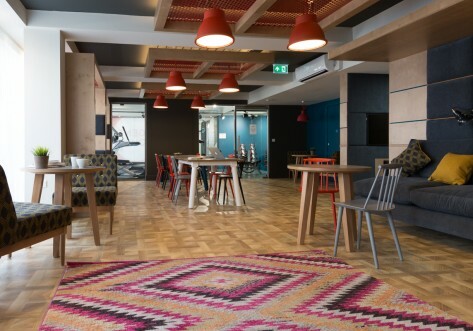 Our student accommodation is well connected to central and greater London via the London Underground. Old Street station, which operates on the Northern line is located under Old Street roundabout, the junction with City Road. It is also on the National Rail Northern City Line. Hoxton Square and Shoreditch will be your stomping ground, known for their unique art galleries, independent eateries, shops, local London markets and varied nightlife. Within the past few years Old Street has become a favoured location for notable graffiti artists such as Banksy, who has featured several pieces on ‘Shoreditch Bridge’. Hoxton Square is thought to be one of the oldest squares in Central London, and since the 1990’s, it is the heart of the arts and media scene and a hub for listening to local entertainment. You can eat your way around the world with a multitude of local and ethnic restaurants nearby. Get some great cheap eats at Song Que for undoubtedly the best Vietnamese in the area, an Asian twist at Mein Tay for scallops with black bean sauce, or head over to Open Kitchen where students from the London City Hospitality Centre (part of Hackney Community College) practise their skills on paying punters! Nearby Clerkenwell and the Barbican are known for their arts and music scene. Or if markets are of interest, choose from Old Spitalfields Market, an old Victorian market that’s been around for 350 years selling clothes, food and house hold items; Smithfield Market sells the most economical meat and poultry available; Brick Lane Market on Sundays is fab for bargain hunting, and the Columbia Road Flower Market is an oasis of flowers and foliage. Of course, you could stumble upon the Urban Food Fest, the London Coffee Festival, take an Alternative London tour, or get your elbows out at the Designer Sample Sale. You will have so much to do that you’ll be hard-pressed to find time to study! A stunning fully-integrated and self-contained bedroom (17-18 SqM) , kitchen area and en-suite shower room with large double bed, modern fixtures and fittings in a spacious, bright setting. Refurbished a stunning fully-integrated and self-contained bedroom (17-18 SqM) , kitchen area and en-suite shower room with large double bed, modern fixtures and fittings in a spacious, bright setting. Ensuite Studio comes with bluetooth speaker. Self-contained studios with a kitchenette and microwave/oven, hob and fridge, and an en-suite bathroom with a shower, sink and toilet. There is a double bed and each room also has a study area and comes with a TV and Wi-Fi.